He can't do that. Meeting goes on with or without him or Owen. He has no authority to cancel without a vote of the Board. He's obviously as stupid as I have imagined. 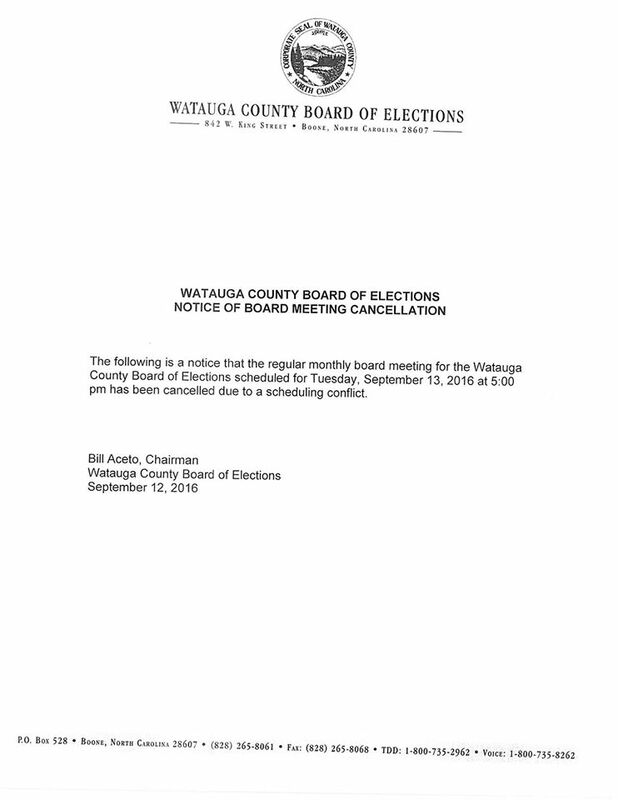 Obviously rules matter as little to Bill Aceto as do the public comments made by Watauga County residents at BOE public hearings. He'll do whatever he wants until he's removed from the board. Will Nancy Owen be there? Probably not... she does not seem as if she likes this position at all. I have never in my life seen someone so divorced from any instinct to pursue the public good, to protect the voter's access to the franchise, or to behave with the comity, consideration, and transparency that should be the hallmarks of the important position he currently holds. In my humble opinion, it will be a very good day for voters in Watauga County when we see the back of the good Mr. Aceto.